The other day I was scrolling about the internet when I came across a cute DIY project and it said "Simple and Fun". OOH, 2 of my many favorite words. I checked and seen we had what we needed so ma and I set out to create it. 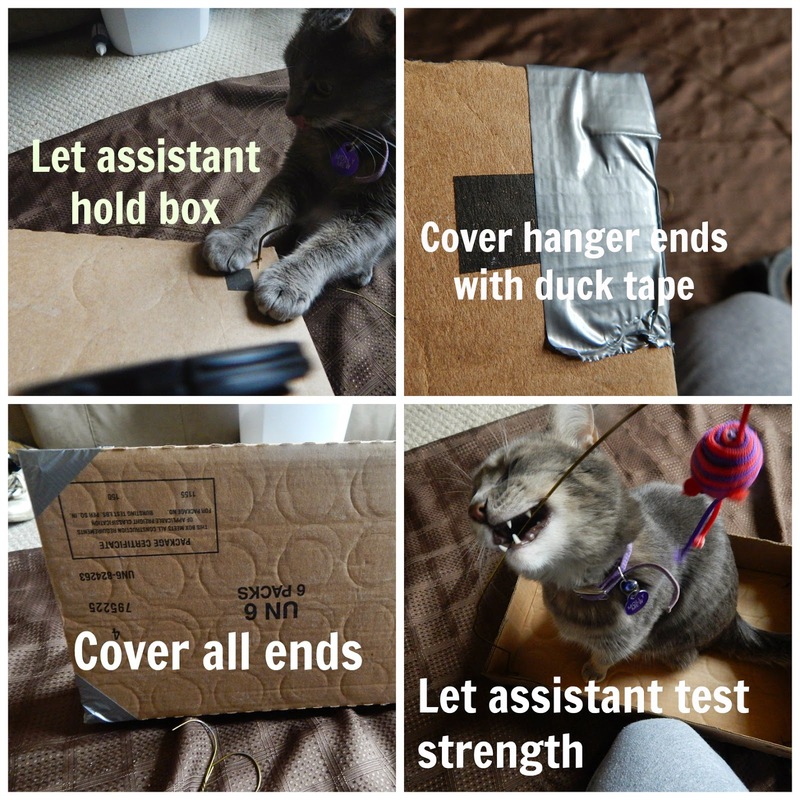 It is a do it yourself cat tent. I have a cat that needed a tent. 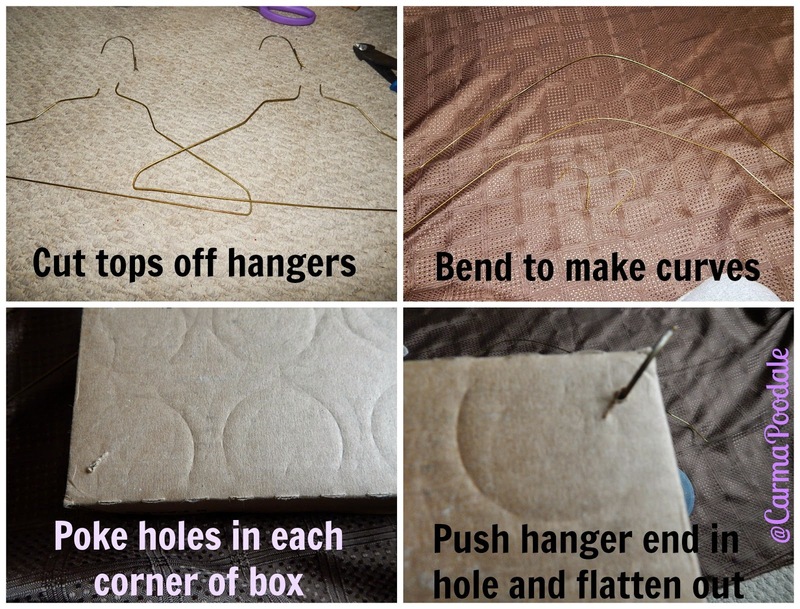 Push hanger ends in hole and flatten out. Place head hole of t shirt in front of box. This is where the cat will enter. Let your cat inspect your work. Now it was time to test the new cat tent. Wonder who we could find to test it?? it will take about 25 minutes to make. 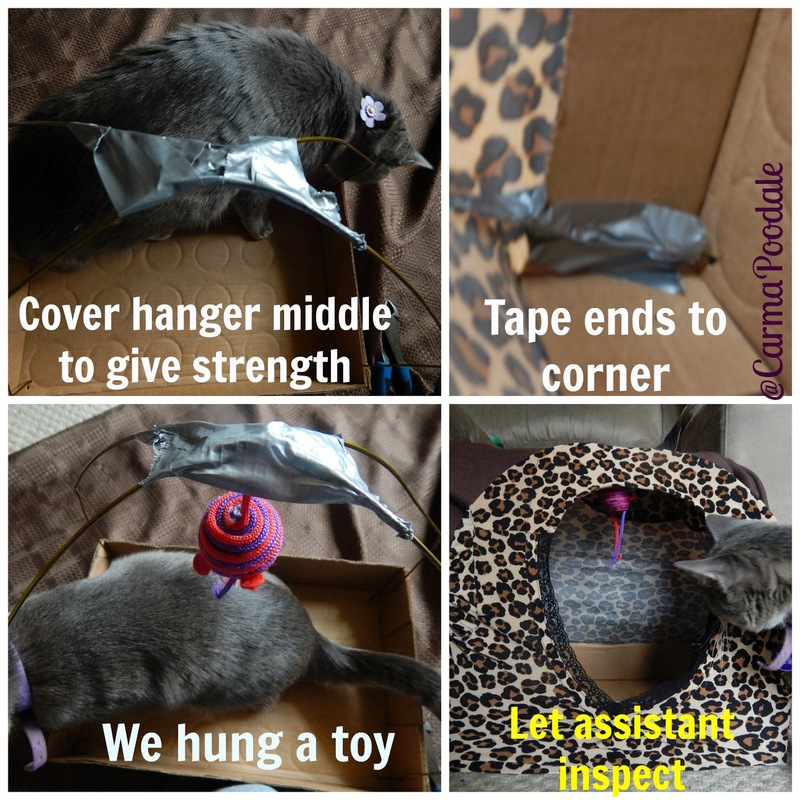 Do you think you will make a cat tent for your cat? That is very cool and clever. What a fun project! Have fun, Molly!